As Argentina prepares to face Nigeria in a crucial Group D game in St. Petersburg on Tuesday, Lionel Messi reported that he is obsessed with lifting the World Cup. Argentina were handed a lifeline after their 3-0 defeat to Croatia after Super Eagles' 2-0 victory over Iceland threw the group wide open, and Argentina must now beat Nigeria in their final group game to have any chance of progressing. 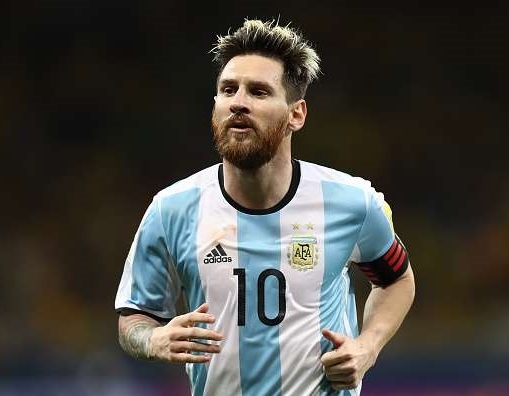 Barcelona forward, who celebrated his 31st birthday with his teammates at the camp in Russia on Sunday, insists he will not give up on his dream of bringing the World Cup back to Argentina. He said; "It means so much because for Argentina the World Cup is special and for me too. "I've always had the dream of watching me raise the World Cup. And then seeing the emotion that goes with it My hair stands on end just thinking about that moment It would make millions of Argentina's in the world happy. "I can not give up on that dream, I have won the most important tournaments but I am ambitious to the end, I would not like to retire from active football without being a world champion with my country." If La Albiceleste fails to win the World Cup in Russia, Messi will have to wait until 2022 to have another crack, at 35.